This scene is to the northwest of the recently named crater Magritte, in Mercury’s south. The image is not map projected; the larger crater actually sits to the north of the two smaller ones. 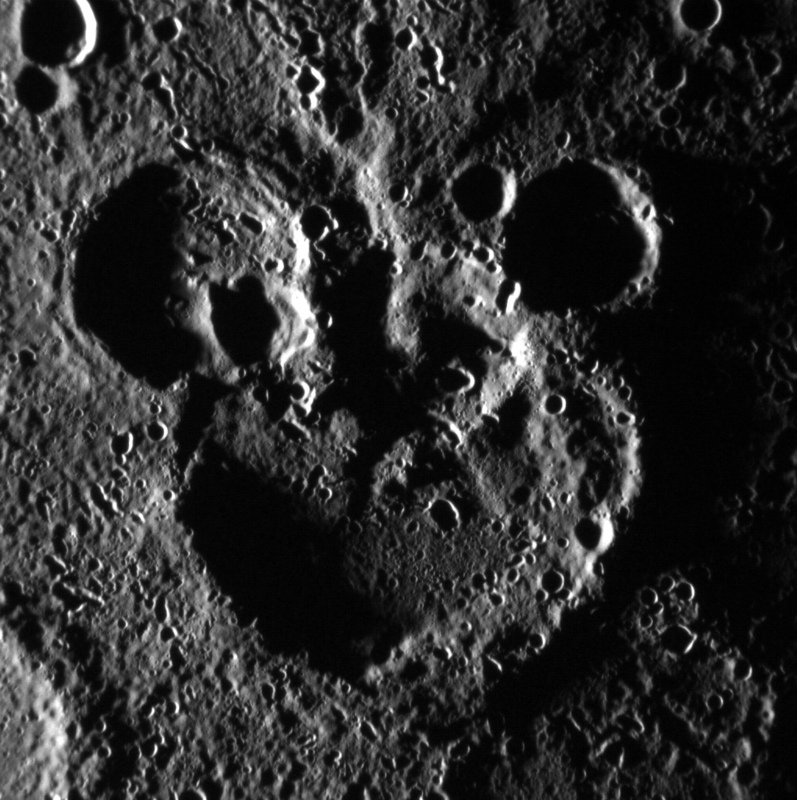 The shadowing helps define the striking “Mickey Mouse” resemblance, created by the accumulation of craters over Mercury’s long geologic history. 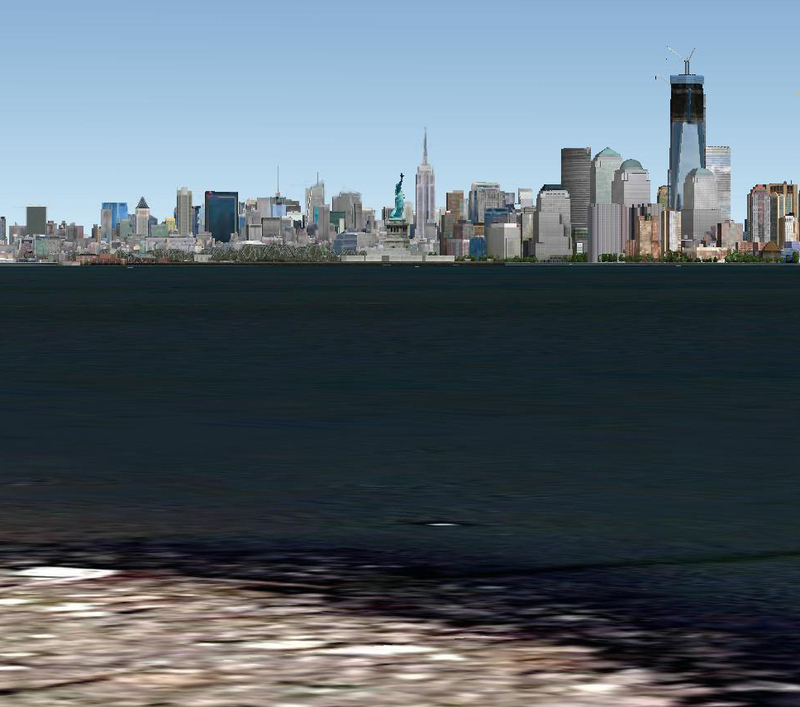 This image was acquired as part of MDIS’s high-incidence-angle base map. The high-incidence-angle base map is a major mapping activity in MESSENGER’s extended mission and complements the surface morphology base map of MESSENGER’s primary mission that was acquired under generally more moderate incidence angles. High incidence angles, achieved when the Sun is near the horizon, result in long shadows that accentuate the small-scale topography of geologic features. 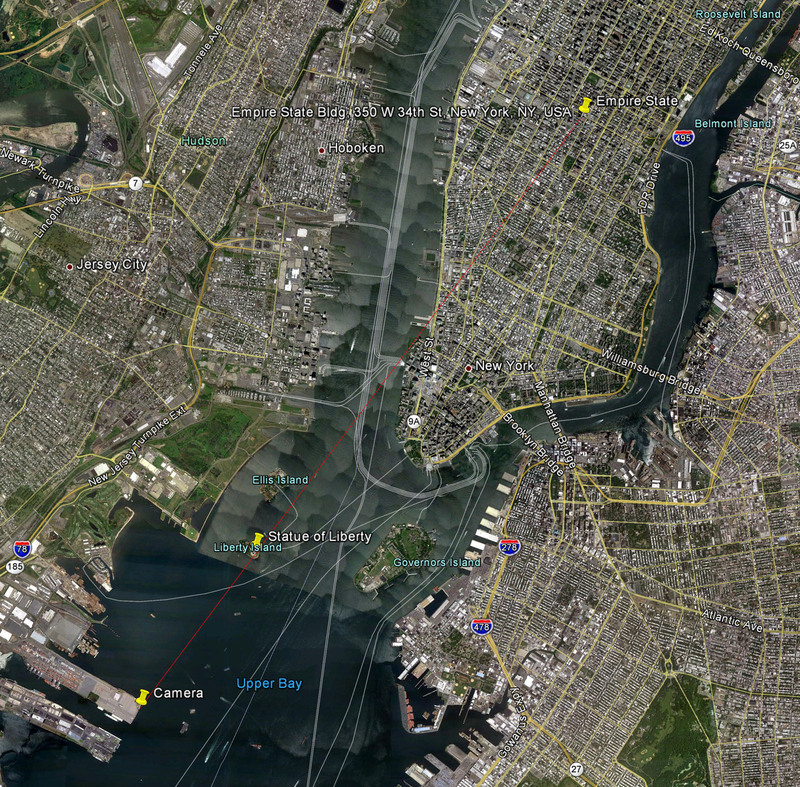 The high-incidence-angle base map is being acquired with an average resolution of 200 meters/pixel. The MESSENGER spacecraft is the first ever to orbit the planet Mercury, and the spacecraft’s seven scientific instruments and radio science investigation are unraveling the history and evolution of the Solar System’s innermost planet. 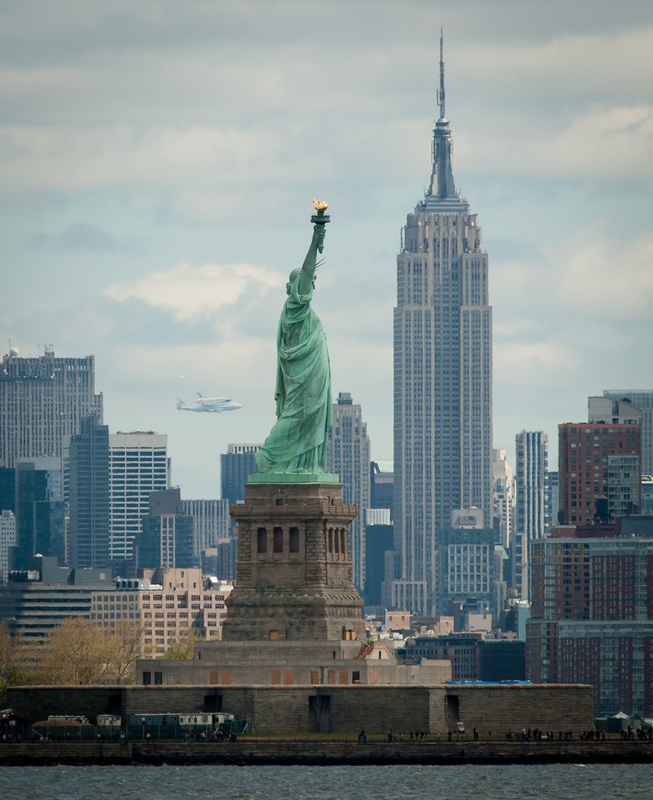 Visit the Why Mercury? 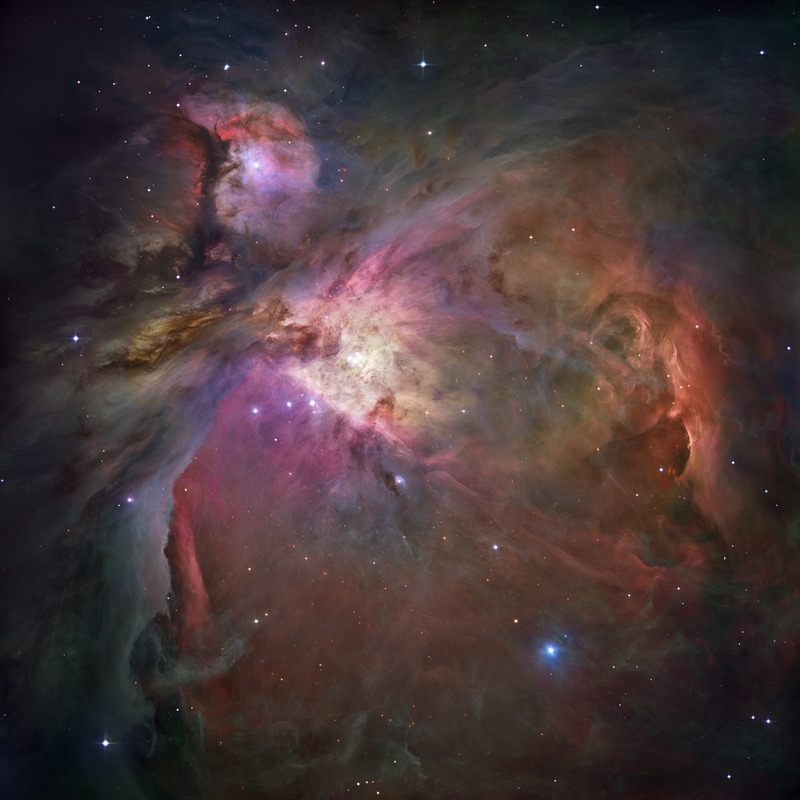 section of this website to learn more about the key science questions that the MESSENGER mission is addressing. During the one-year primary mission, MESSENGER acquired 88,746 images and extensive other data sets. MESSENGER is now in a yearlong extended mission, during which plans call for the acquisition of more than 80,000 additional images to support MESSENGER’s science goals.